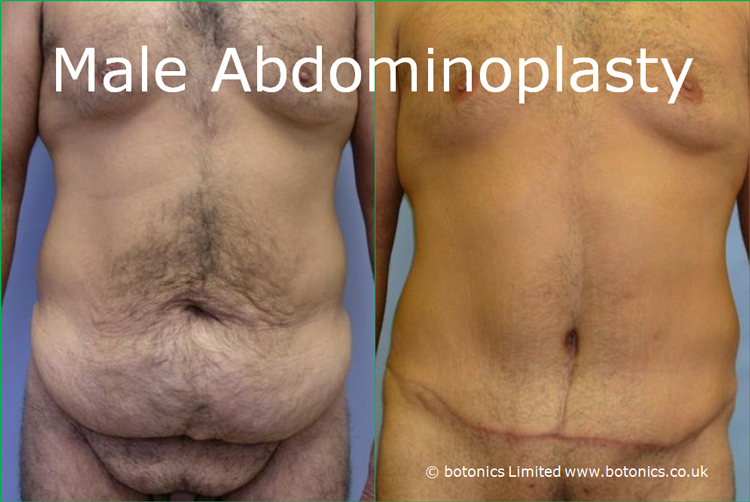 Abdominoplasty, or a ‘tummy tuck’, involves getting rid of excess abdominal skin which can be caused by weight gain and loss. Unfortunately excess skin in this area cannot be lost through exercise and healthy eating which makes this a common problem for both men and women. The procedure usually only takes between two and three hours and is carried out under general anaesthetic. You will notice your results instantly as the skin is removed, however you will experience some bruising or swelling following your surgery. You should fully recover after around 60 days. Have a look at our before and after photos below to see what we can do and the great results you can get.